“Dance isn’t something you do, it’s something you live.” Saskia, one of Dancewave’s 2016-2017 Dancewave Ambassador’s Scholarship Award (DASA) recipients explains the importance of dance in her life with a quote echoing the sentiments of great dancers’ passions. This year, Saskia and seven of her fellow Dancewave students will chase their dreams and dance all year in Dancewave classes. Thanks to Dancewave’s strong community of generous supporters, these eight students have been awarded full ride scholarships to the Dancewave School! 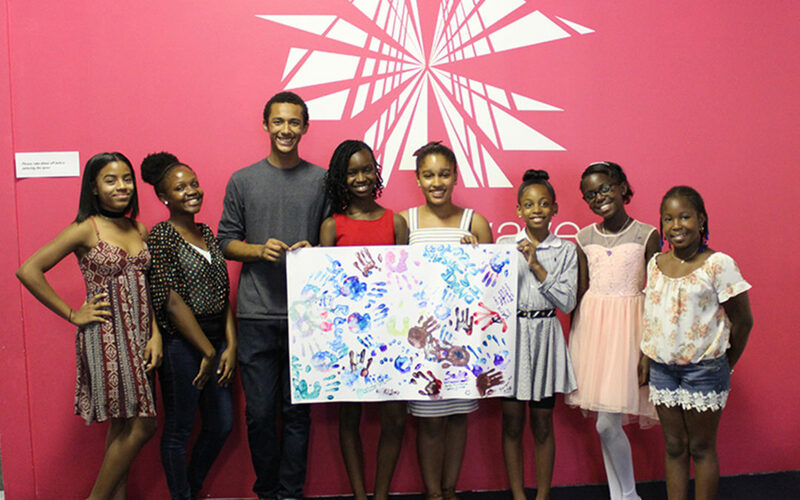 As ambassadors to the Dancewave School, these students lead their age groups within the school’s programs and activities. The DASA students represent the core of Dancewave’s mission to provide high quality dance education and mentorship to NYC youth and provide access for all. As scholarship students, these dancers are chosen from among many applicants to receive the highest honor awarded at Dancewave, the full ride scholarship and priviledge of representing Dancewave in the greater community. 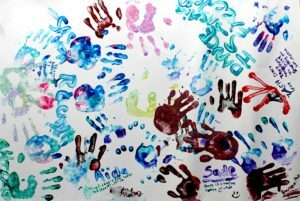 Dancewave and DASA students’ excitement and anticipation over the coming year peaked at a recent reception held to honor the DASA recipients in anticipation of a fantastic year of dance, performance, and community outreach. The students dressed in their best and headed over to Dancewave to gather together for the first time. At the reception the students ate and mingled with smiling faces while buzzing in anticipation for all the approaching year has to offer. The students gather around a table, collaborating with an artistic poster to represent the meaning of dance in their lives. As we approach the coming school year, we also reflect on the achievements of this heated summer of dance, sweat, and fun. 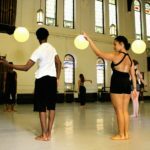 At this year’s Advanced Summer Dance Intensive (ASDI) we welcomed Anakeiry Cruz and Adante Power, two students from D-Wave in Motion’s residency at Repertory Company High School. Ana and Adante enjoyed classes with Alexandra Beller, Caroline Brown, and Dante Brown on full scholarship at ASDI hosted by Dancewave. This is the first time D-Wave in Motion has extended Dancewave’s Scholarship Initiative to D-Wave students! Alongside their ASDI peers, Ana and Adante made groundbreaking discoveries with Alex, Caroline, and Dante. On the first day of classes at Dancewave, we are looking forward to welcoming ALL of our students into the 2016 Fall Semester! Keep calm and dance on. Dancewave welcomes your contributions and support to continue the work we do!